Psychotherapy is a non-medical treatment modality aimed at addressing problem areas in our lives. Issues treated can range from mental health (anxiety, depression, PTSD, etc), troublesome behaviors, beliefs, compulsions, thoughts and emotions. It's also used as a means to: improve relationships, social skills, and answer difficult life questions. This is done through scientifically validated approaches according to your therapist's training. Because psychotherapy is unique to each person, the client's situation will determine the type of goals and therapeutic techniques used in each session. Ali-John provides a variety of services to address individual, interpersonal, couples, and social issues. These include treatment for symptoms of depression, anxiety, obsessive-compulsiveness, PTSD, relationship issues, self-image and esteem issues, assertiveness training, co-dependency issues, alcohol and drug issues, difficulties managing feelings and emotions, abandonment issues, motivational problems, difficulties in socializing, identity and self-discovery issues, and spiritual and value issues. Ali-John has experience with a variety of treatment modalities, ranging from systemic, humanistic, psychodynamic, interpersonal, experiential and cognitive behavioral therapy. 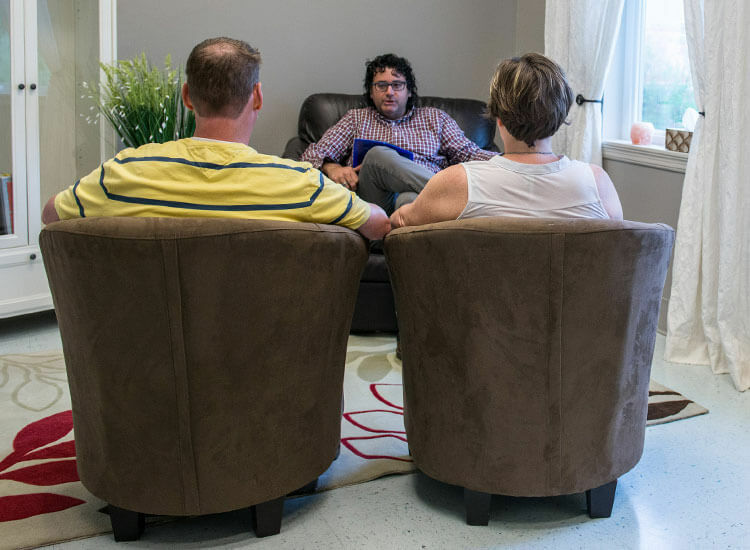 He is also one of the few psychotherapists in Pembroke trained in Eye Movement Desensitization and Reprocessing (EMDR), a sought-after eye movement therapy for the treatment of PTSD and/or persistent negative beliefs. He also uses newer approaches including positive psychology, mindfulness and EMDR for a variety of situations. Ali-John has been described as warm and compassionate. He provides an action oriented approach, that when combined with his psychotherapy training and experience help to work on issues both within and outside of therapy sessions. Ali-John is available for a FREE 30-minute meet and greet. Call 613-635-7206 to book a session with Ali-John. Note: Psychotherapy is not recommended for everyone at all times. Highly suicidal and psychotic clients should seek medical attention by visiting a hospital immediately.